I've decided that I'm wearing this hat all holiday season. I wouldn't exactly call myself a hat person, but this one is making me reconsider. 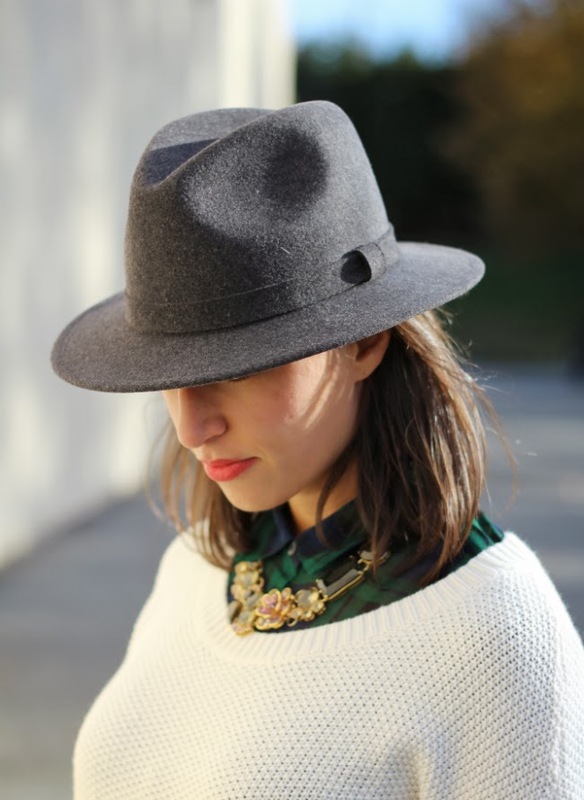 As someone who typically passes on buying one, I could not resist after trying on the Bailey for J.Crew felt hat. The fit is snug, but not tight and the grey really brings out the shape and texture of the hat. If you're back and forth about adding headgear this season, go try this on. It's also a lifesaver for really bad day old hair (hidden above). You look adorable! And I love that blouse. Great find. Such a classy outfit! 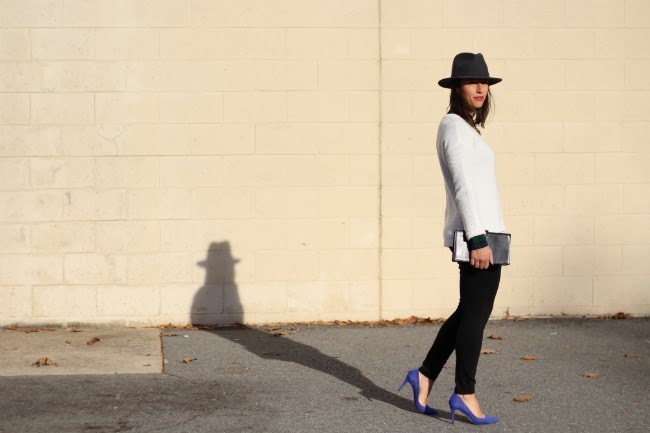 Love the blue heels! Love this look! the pop of cobalt brings out the blue in the plaid so nicely! My dear, I LOVE everything about this. Clapping at the awesome currently!